Venkat Srinivasan, a resident of Chennai had his car damaged due to flood last week. Mr. Srinivasan’s car was protected by a comprehensive car insurance plan and was confident that all his expenses for repair and replacement of motor parts will be reimbursed as he thought all the damages are claimable. However, Mr. Srinivasan’s notion that all damages are claimable was not right. And, much to his disappointment, he didn’t get more than half of his all claims approved. It is therefore crucial to have a clear idea about both claimable and non-claimable damages. Here is a look at various parts of a vehicle and types of damage associated with each part. Engine damage – what’s covered and what’s not? The engine of Mr. Srinivasan’s car was stalled because flood water entered into engine through hydraulic lock. This is the most common type of engine damage in Chennai floods and like hundreds of other vehicle owner, Mr. Srinivasan also made a claim only to be rejected as this type of engine damage is not covered under a standard motor insurance policy. It comes under electrical and mechanical breakdown and regular motor policyholders don’t get any reimbursement for this. Similarly, some vehicle owners had their car engine ceased in Chennai floods as they were trying to crank up their submerged cars. This type of engine damage is not also under the coverage of standard car insurance plans. Had Mr. Srinivasan and other vehicle owners armed with a car insurance rider called engine protector, these damages would have been claimable. Even after all these conditions, your claim for engine damage due to the above-mentioned reasons will be approved after numerous reviews such as report of the surveyors and physical inspection of the motor insurers. The chief reason behind multiple reviews is the insurer will have to pay the entire cost of engine replacement as there is no sub-limit. Although, the engine damage is the costliest damage of a vehicle, Chennai floods also damaged upholstery and interior parts of many vehicles. Are these damages claimable? Let’s dig deep and find out hidden clauses! If these parts require only cleaning, insurers will be fine with it. But, if these parts need replacement which depends mainly on the report of the surveyor depreciation value will be associated with the cost of replacement. Here is a chart of depreciation value for different parts of a vehicle. Since, the depreciation for glass parts is zero; Mr. Srinivasan got full reimbursement for breaking the glass of his car in order to get out of the car in a waterlogged street. You will get 50% of the expense for replace tyres if the vehicle damage is not caused by the damage of the tyre. Here is the break-up of the depreciation value for all other parts of a vehicle. Many vehicles were damaged externally by collapsing walls and falling trees. Major auto insurance providers are getting a lot of claims for this type of vehicle damage. Car-owners like Mr. Srinivasan got full reimbursement for expenses to fix such damages. Chennai floods didn’t spare ACs and other fittings such as CNG kit and music systems of a vehicle too. Mr. Srinivasan didn’t get any money to replace these damaged parts as he neither informed his insurer nor he paid any extra premium. Many vehicle owners like Mr. Srinivasan didn’t get their claims settled by their motor insurance companies. This has caused a huge financial loss to these people. Although, claim approval depends on many factors, it is safer to choose a provider with high incurred claim ratio. If catastrophes like Chennai floods turn up again you need to make claims again. So, you should renew car insurance policy with the provider that boasts best incurred claim ratio. Incurred Claims Ratio is the ratio of incurred claim to actual premium for that period. If the incurred claim ratio is 90% of any insurance company it means the company spent Rs.90 claims for every Rs.100 premium earned. Here is a chart of top 5 auto insurance companies in terms of incurred claim ratio. A claim is only approved when certain criteria are fulfilled, sub-limits are met and terms and conditions are satisfied. 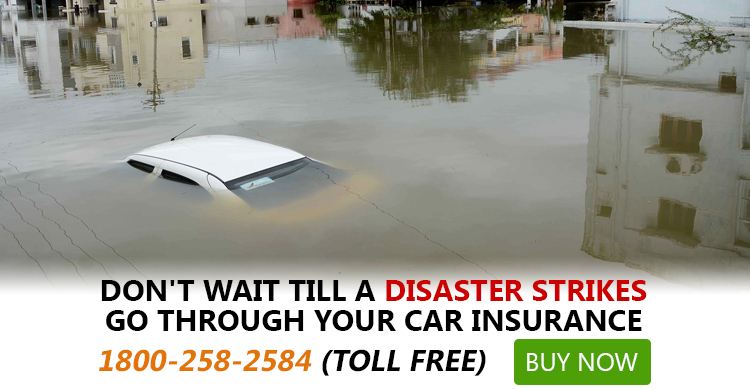 If you are also a victim of the deadly Chennai flood and have a comprehensive car insurance plan you shouldn’t be under the misconception that all your claims will be approved by your motor insurance company in India. Mr. Srinivasan was not only the victim of Chennai floods but also of lack of awareness of the limitation of a standard motor insurance coverage. Hopefully, this set of information will help you cope with your situation better.